What once was a glut of luxury condominiums on the South Florida market – from South Beach and Miami Beach to Brickell Avenue north to the Palm Beaches – today is a market in healthy transition and bullish recovery. Condo buyers from Latin America, New York and the Northeast are finding remarkable deals across the marketplace, especially as lenders rework their portfolios to reposition product and relaunch them for sale this season. In fact, lenders and developers are aggressively working the assets in their portfolios to take advantage of new-found – and high-profile – product awareness. Many lenders are looking now to keep what they have and go into a retail sales mode. Over the past few larger sales, lenders have brought in skilled, fresh sales and marketing organizations to retool and reposition their assets in hopes of maximizing the recapture of their investments. In fact, Canyon Ranch is an ideal example of this strategy. Taken over by the lender that originally financed the deal, that lender decided to reposition the property and sell individual units – as opposed to bulk sell the property. Pordes Residential Sales & Marketing orchestrated the deal and continues to work closely with the lender. The results have been remarkable. 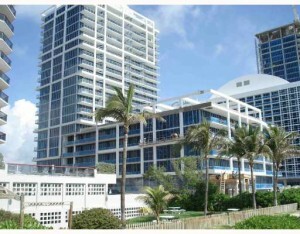 The Wall Street Journal in February profiled success at Canyon Ranch Miami Beach [ insert link ]. Other examples of this strategy include the Icon and Viceroy. Both were on the market for a period, only to have the lender realize it was more advantageous to go to market at the retail level. The lender brought in new sales and marketing management, repositioned the property, and began a revived sales initiative. At 2700 North Ocean in Singer Island in Palm Beach County, Pordes Residential approached the developer, who then worked closely with the lender to orchestrate a $125 million residential bulk sale – one of South Florida’s largest in 2010. The buyer, a private equity fund from New York, added value to the property by rebranding it as Ritz-Carlton Residences – adding immeasurable value and vitality to the sales process beyond simply reselling units. These are the types of creative strategies that savvy lenders and new bulk purchasers in today’s market utilizing to reposition properties in today’s condo market. To be sure, this is a case-by-case scenario. Some lenders don’t want to hold real estate; they find bulk-sale buyers in hopes of moving the property off their balance sheets. For its part, the cachet of the “Canyon Ranch” name convinced the lender to work closely with Pordes to sell. As the dust settles in 2011, we anticipate seeing more such activity. Lenders will reassess their investment portfolio, possibly engage consultants versed in the sales and marketing process, then make their decisions. In many cases, those who had considered taking a write-off or selling in bulk – and haven’t as of yet – might look to partner with the right sales and marketing organization and return to the retail market. The results of the past six months are an undeniable trend. We believe the revived sales activity of late 2010 and Q1 2011 will lead to a strong Q2 and Q3. People who had been waiting on the sidelines are entering the market and buying second homes or investment properties. This, combined with lenders’ work-out plans, will be just the spark the South Florida condominium market needs to maintain its current, resurgent course.